Stealing Home is nominated for a Lambda Literary Award in the category of Best Gay Romance. Now in their thirtieth year, the Lambda Literary Award is the most prestigious book prize in the LGBTQ community. 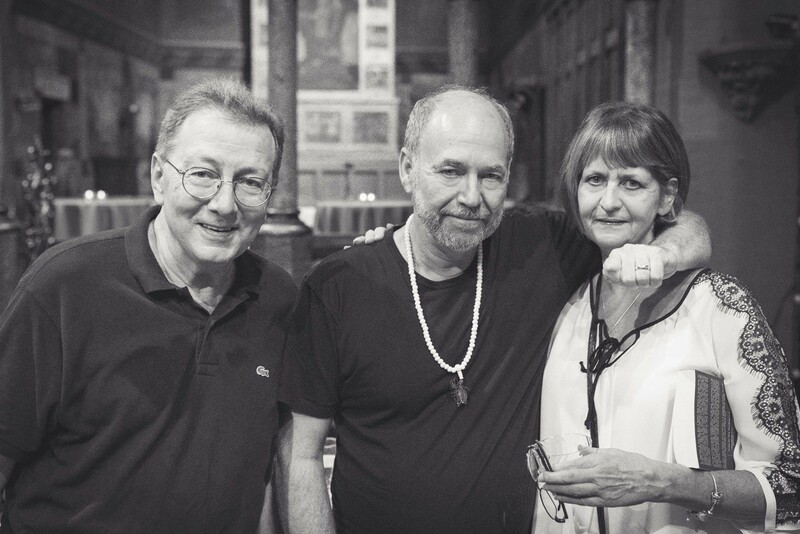 Learn more about the Lambda Literary Awards here. Stealing Home is chosen as a 2017 Foreword Reviews INDIES Finalist in the category of Best LGBT Adult Fiction. With a mission to discover, review, and share the best books from university and independent publishers, the list of finalists was determined by Foreword’s editorial team . Winners are now being decided by a panel of judges across the country, reflecting Foreword’s readership of booksellers and librarians. Learn more about the 2017 Foreword INDIES Finalists here. 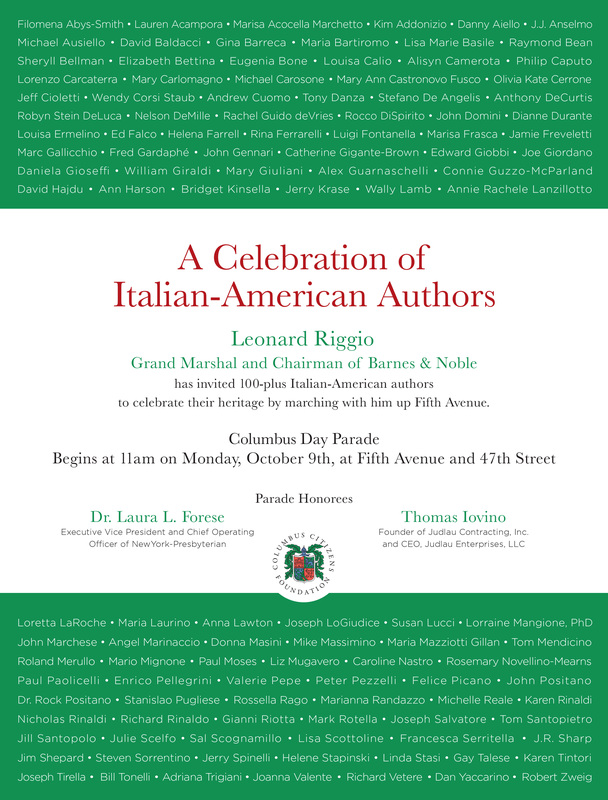 Tom will be marching in the Columbus Day Parade to celebrate Italian-American authors and their outstanding contributions to Italian history and culture. 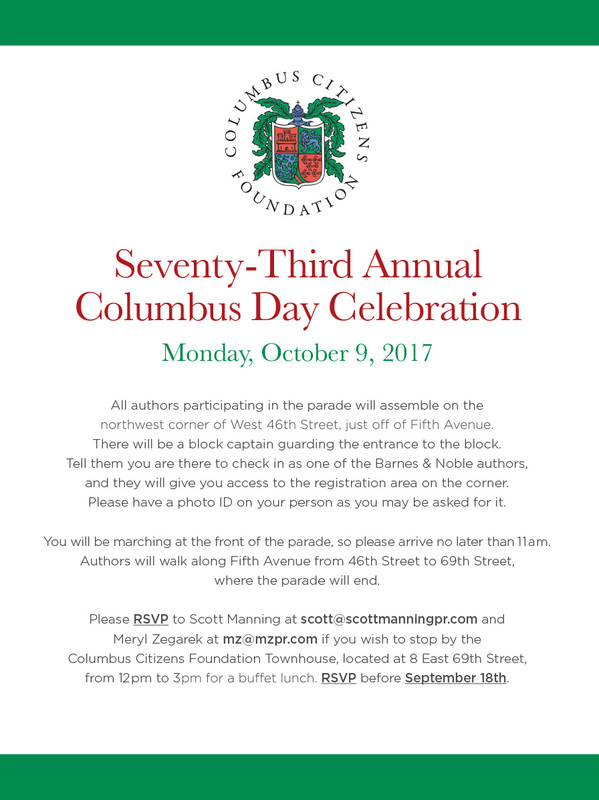 This year the procession is led by Grand Marshal Leonard Riggio, Chairman of Barnes & Noble, Inc. and the theme he chose for the parade is: “A Celebration of Italian-American Authors.” To learn more about the Columbus Day Parade please visit the Columbus Citizens Foundation. 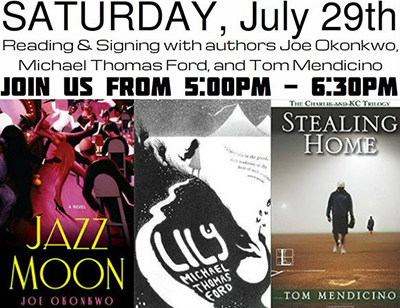 Joe Okonkwo will be reading from his novel Jazz Moon , a lyrical, captivating debut set against the backdrop of the Harlem Renaissance and glittering Jazz Age Paris. Michael Thomas Ford will be reading from his dark fantasy title Lily , which follows the story of a girl who discovers she has the ability to see how others will die simply by touching them. 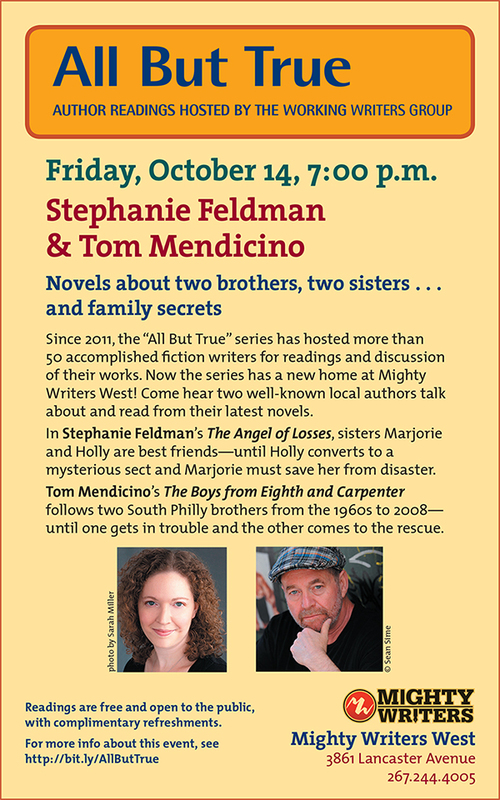 Tom Mendicino will be reading from his novel Stealing Home , a smart, engaging, witty, sad and unusual book about the complicated nature of family and love. Join the Facebook event here. 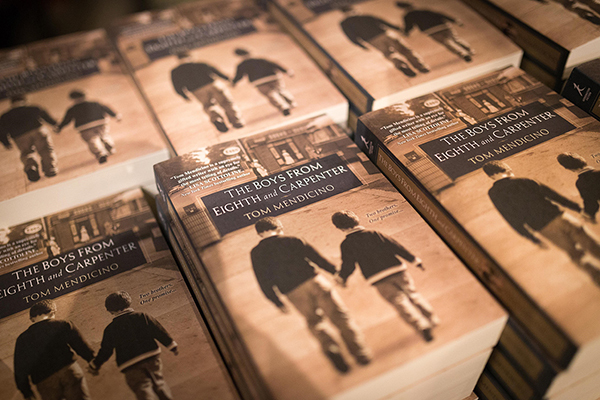 June selection presented by the SAGE Book Discussion Group is a character driven novel - The Boys From Eighth & Carpenter by Tom Mendicino. Set in an Italian immigrant neighborhood in South Philadelphia, it examines familial ties as two young brothers are bound together by a vow to their dying mother that they will always look out for each other. The vow is a pivotal event fully put to the test some forty years later when one brother commits an unthinkable act. A story of brotherhood, and the keeping of promises, the book is also a suspenseful and well-paced crime novel. Please consider joining us - all are welcome and no reservation is required. 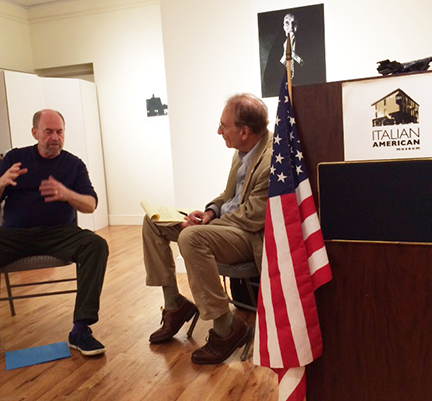 To learn more about this event please visit stonewallmuseum.org. The Boys From Eighth & Carpenter was named a Gold Medal Winner in the 2016 Independent Publisher Book Awards. 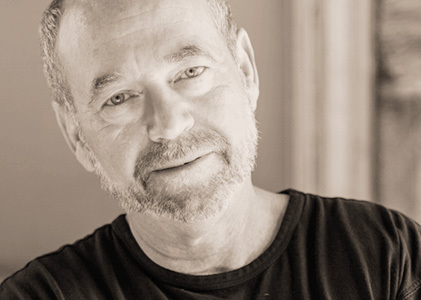 The World Mystery Convention, is a nonprofit, all-volunteer organization which holds an annual convention in honor of Anthony Boucher, the distinguished mystery fiction critic, editor and author. Bouchercon is their annual world mystery convention where every year readers, writers, publishers, editors, agents, booksellers and other lovers of crime fiction gather for a 4-day weekend of education, entertainment, and fun! It's the world’s premiere event bringing together all parts of the mystery and crime fiction community. The Boys From Eighth & Carpenter was named the Foreword Reviews’ INDIEFAB Silver Award Winner (LGBT Adult Fiction) at the 2016 American Library Association Conference in Orlando, Florida. Each year, Foreword Reviews shines a light on a select group of indie publishers, university presses, and self-published authors whose work stands out from the crowd. In the next three months, a panel of more than 100 volunteer librarians and booksellers will determine the winners in 63 categories based on their experience with readers and patrons. The Boys From Eighth & Carpenter has been recognized as a finalist in the 18th annual Foreword Reviews’ INDIEFAB Book of the Year Awards. Each year, Foreword Reviews shines a light on a select group of indie publishers, university presses, and self-published authors whose work stands out from the crowd. In the next three months, a panel of more than 100 volunteer librarians and booksellers will determine the winners in 63 categories based on their experience with readers and patrons. The Boys From Eighth & Carpenter is nominated for a Lambda Literary Award in the category of Gay Mystery. “The Lambda Literary Awards were founded in 1989 to elevate the profile of LGBT literature,” said Lambda Literary Board President, KG MacGregor. “In so doing, we also elevate the lives of those who find themselves authentically portrayed in our stories. It is with great pride that we come together each year to celebrate the excellent works of inspiring authors who have walked in our shoes.” Now in their twenty-eighth year, the Lambda Literary Award is the most prestigious book prize in the LGBTQ community. Tom is so honored and thankful to Lambda Literary for including him in this group of terrific writers. 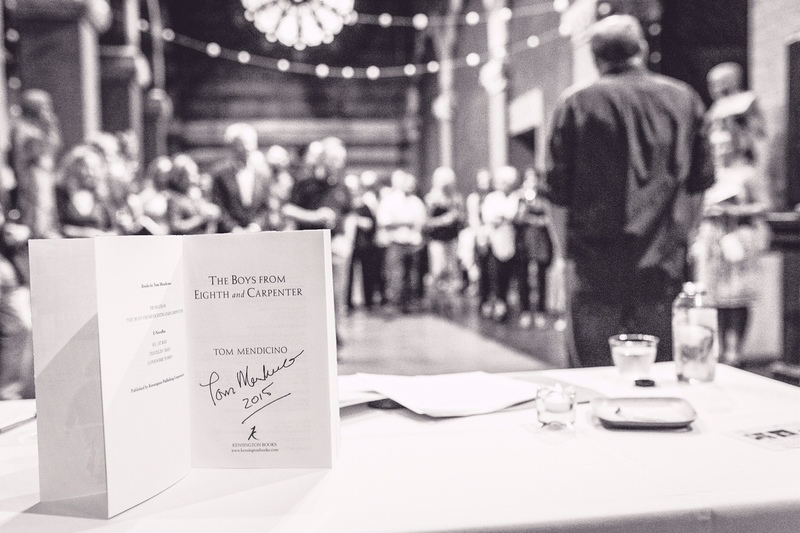 Learn more about the Lambda Literary Awards here.